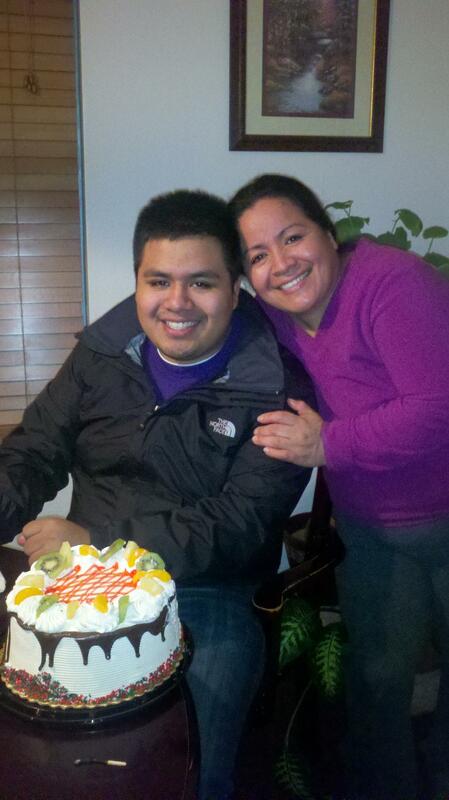 Michael Lopez and his mom celebrate his birthday last December. Photo courtesy of Michael. The path to college wasn’t set in stone for senior journalism student Michael Lopez. Born in Mexico City to a single mother who worked for everything they had, Lopez learned the value of hard work and what it means to go after what you want. Without knowing any English, Lopez and his mom moved to Washington to live with his grandparents when he was five years old. With many people living in one house, including lots of little cousins running around, Lopez hardly ever saw his mom who was working as a migrant worker, traveling around the state. However, she continued to be his biggest motivator. Lopez’s mom made sure he went to a high school that offered AP classes, even though it was farther away, but the most inspiration came from her hands. Feeling helpless at such a young age, all Lopez could do was succeed in school. With more than 40 cousins on his mom’s side of the family, most of whom never graduated from high school, going to college never occurred to Lopez until he was a junior. Going to college was something that no one in his entire extended family had done before. Graduating with a 3.95 GPA, a counselor encouraged him to apply as well, and he was accepted to every school to which he applied. However, this wasn’t the first obstacle he’s had to overcome in the academic realm of his life. The way he learned to speak English was by being stuck in a classroom when he moved to the U.S. But jumping in head first is how Lopez gets things done. Knowing he had an interest in video editing, he offered to make a video at the end of a summer program he was volunteering at called TRIO, which provides services to individuals with disadvantaged backgrounds. Due to budget cuts, the organization had to eliminate end-of-the-program yearbooks, until Lopez stepped in, devoting all of his free time to the project, which often meant sleepless nights. When the opportunity to go to L.A. with the Department of Communication arose, he knew he was interested. Although never having been to the City of Angels, he imagined celebrities, sunshine, and most importantly video production. 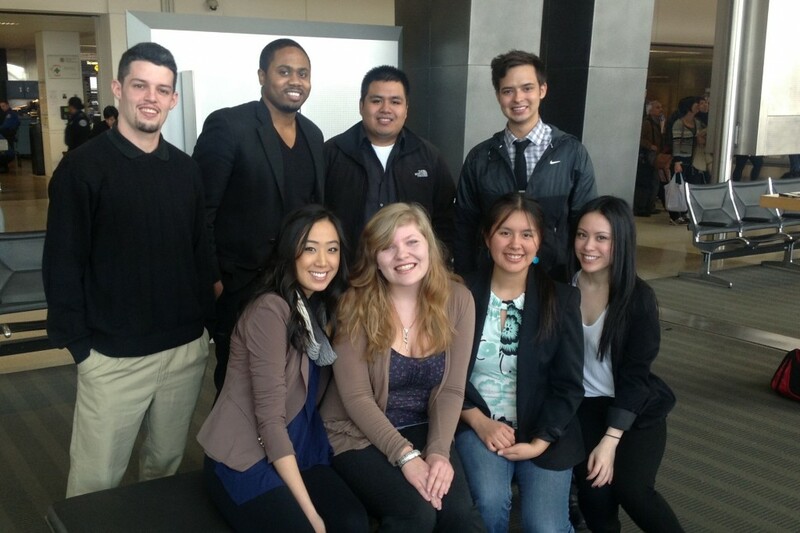 Lopez (back row, second from right) and seven other Communication students ready for a weekend in L.A.
Not even expecting to get to the interview stage, Lopez was accepted and got the opportunity to meet with the editing crews for the shows “Curious George” and “Hell’s Kitchen,” as well as tour the 20th Century Fox lot and Universal Studios, and meet several professional role models. Learning many lessons along the way, Lopez gained confidence as the weekend progressed by talking with editors and realizing that maybe living in a big city wouldn’t be so bad. From Mexico City to the little town of Cashmere (with a population just over 3,000) to Seattle, maybe L.A. will be the next step. But one thing’s for certain, it all started with his mom. As the oldest of nine children and never getting the opportunity to go to school herself, Lopez’s mom has remarried and started her own home decorating business. Lopez’s sister, who is a senior in high school, has applied to college and is well on her way to becoming the second in the family to attend college. And Michael just received citizenship this past year, allowing him to work just one job to pay for school, and focus on a bright future.